The NEW 5779 Jewish Community Calendar! Please click here to visit our detailed rates page and to submit your entries. Preparations are under way for the upcoming Jewish Art Calendar. Chabad of Greater Ft. Lauderdale will be producing this attractive multi color publication and mailing and distributing free of charge to the Jewish Community, (3,500 households and businesses). 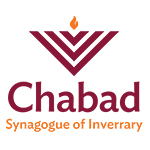 Chabad's Jewish Art Calendar is a good investment for your advertising dollars. 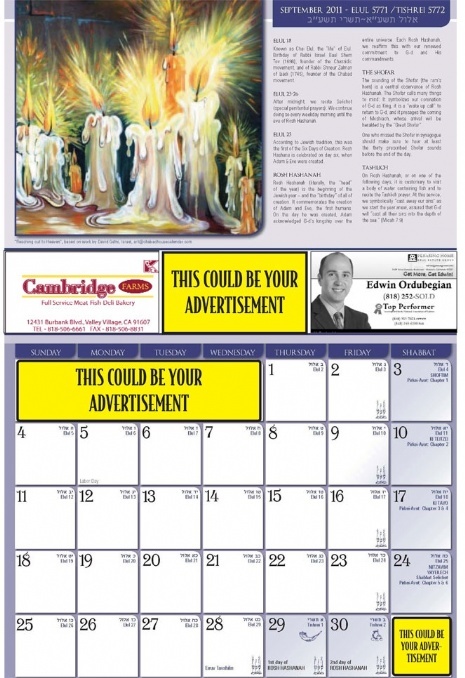 Unlike newspaper ads that have a relatively short life span, potential customers will view our colorful and informative Jewish Art Calendar the whole year round, thus providing maximum return for your dollar. Throughout the calendar we've reserved eye-catching space to advertise your business or service. In homes and offices throughout the Greater Ft. Lauderdale area, the Jewish Art Calendar is the most widely used Jewish calendar thus insuring optimum visibility for your products and services. I would love the opportunity to discuss your advertisement needs and how The Jewish Art Calendar can help you reach your clients. Please either email or call me directly on 954-687-5114 with any questions you may have and if necessary I can meet you at a place and time of your convenience.